Compared to the thunderous spring roar. Take for example Deer Creek on it geologic plunge where it cuts across the rocky ridge line below the royal gaze of the King and Queen Seat above, a place of which I am fairly certain no (if only a few) true blue bloods have ever gone. Why is it called King and Queen Seat then? Probably because the two rocky outcrops, each in prominent display on either bank of the stream, resemble a sort of royal thrown. There are many aficionados of the place -- me included -- the majority I would describe as being closer to blue collar than blue blood. My point is that spring flows are conspicuously down -- as shown on the decibel chart on the right hand side of the graph as merely boisterous, not roaring, which would be the more normal spring state. This hydrograph charts discharge through my favorite continental stream: Deer Creek through Rocks State Park in Harford County, Maryland. 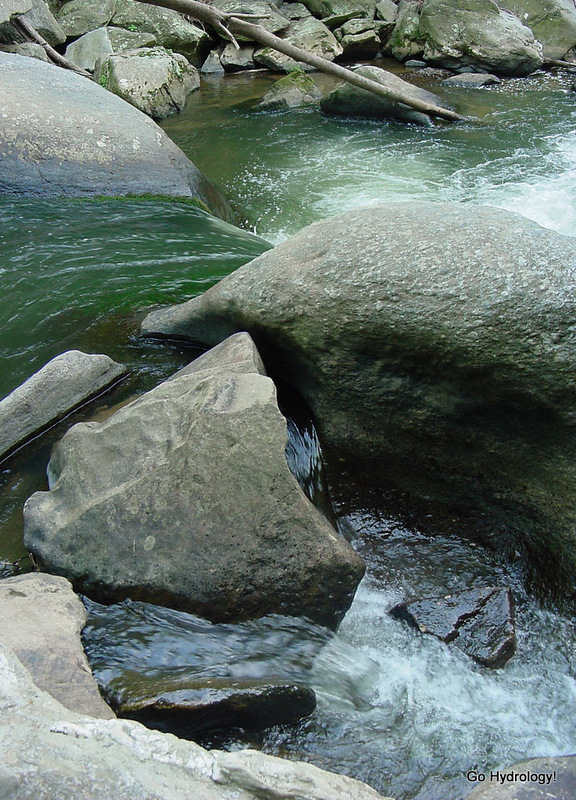 Usually spring, not fall, has the higher (and noisier) flow through the run of rocky rapids. Could the lack of snow explain this spring's early drop into the summer recession? That could mean dry (and silent) fall could be on the way. Compare that to the usually quiet baseflow-dependent fall. Irene sent the rapid "off the chart" into the deafening zone. To be sure, there are many sounds of spring. Just this year (at that spot) the water isn't one of them.